Some few outfits from the past days. Firtsly one from Saturday when I went out with my boyfriend around local shops (and I found a cool pair of boots that I bought....), the weather is really bad in this period so I decided to wear my new sweater from Bershka using it like a dress 'cause is really long and large, I love wearing this kind of things during fall and winter! I wish my real hair had this beautiful color ._. anyone knows a good hair dye of this shade? 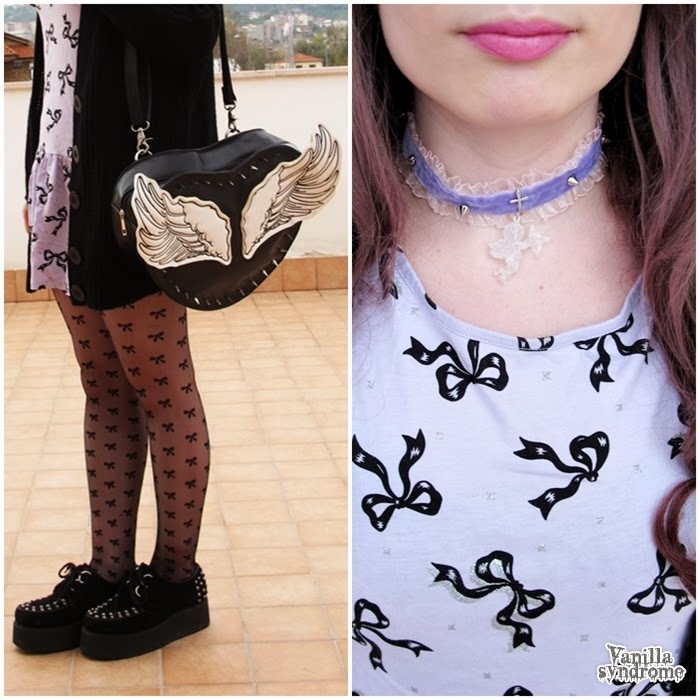 Then Sunday I went to Grazia's house for lunch, I wore a full Glavil outfit after a loooong time, it's really hard to create a new outfit with one brand when you haven't something new XD but at least I did it! Yesterday I went out for buying some cute things to decorate my desk (and finally it's really cute!). The weather is still really dark and grey, not the best to take outfit pics. Tomorrow will be my birthday, I feel so damn old XD but I'll come back home to my family and I hope to spend some good time with my relatives! Mi piace tanto il 1° outfit,se tutti i maglioni mi stessero larghi per portarli come abito, lo farei volentieri pure io xP. thank yuo so much ❤❤ I tried some colors from Directions, but they turned out really different from the real color XD I hope to find a good hairdresser! nice outfit *_* your blog is very lovely and interesting. im glad if you visit my blog, too <3 keep in touch! thank you very much ❤ I'll visit your blog soon! Carinissimi tutti e tre, anche se prediligo il primo (amo i maglioni oversize), in particolare quelle calze: stupende (e quelli stivaletti sono sempre un amore). Arrivo tardi per gli auguri, purtroppo, ma ho letto solo ora ''XD buon compleanno <3!